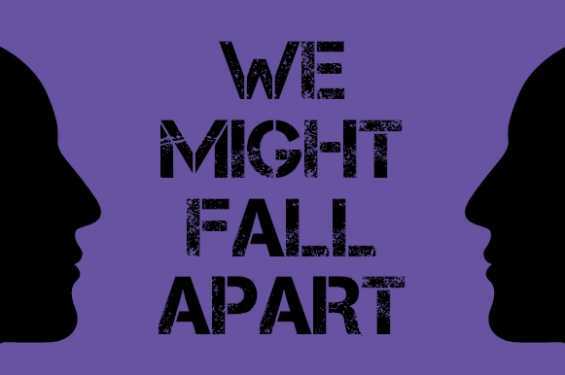 We Might Fall Apart is an ensemble-driven, devised work that explores the attempt to communicate effectively and make connections with one another. Based within the context of an empathy experiment the ensemble asks what fears and anxieties do we carry that keep us from hearing someone? How do we put those fears and anxieties aside to allow us space to hear each other? Finally, how does being heard allow us to make connections and avoid falling further apart? Directed by Vanessa Stalling, this workshop production is driven by experiences and research brought to the rehearsal process by University of Iowa students participating in this year’s Summer Partnership in the Arts program. Please be advised, this performance contains adult language and material that may be triggering to some individuals including references to sexual assault, suggested violence, oppressive language, and racially sensitive content.